After nearly two months of silence, Mark One posted a “good news/bad news” update. The good news is that they are ready to ship a product called “Pryme Vessyl” that is basically a $99 version of the $59.99 Thermos Smart Lid. The bad new is that the Vessyl is not yet working consistently and they do not know when they will get the “hiccups” ironed out. Mark One is still offering refunds to all who want them. They will also provide a free Pryme Vessyl to those who pre-ordered Vessyls, with the caveat that they will no longer be eligible for a refund on their Vessyl and that they pay a nominal shipping fee. While this won’t satisfy all backers, it is a very generous way of apologizing, if Mark One is serious about following through and delivering Vessyls. Vessyl is limiting the number of Pryme Vessyls to one per pre-order, not one per Vessyl pre-order. Meaning that those who pre ordered two Vessyls will receive only one Pryme Vessyl. Also, questions remain about those who ordered Vessyls from outside the USA or Canada. By August 4th of last year, people from 75 countries had pre-orded the smart cup. The Pryme Vessyl, however, is only available to be purchased in the USA and Canada. Also, it has been reported to me that the Pryme Vessyl iOS app is not available in some of countries in which Vessyl backers live. So how far does the offer of a free Pryme Vessyl for backers go? Is it limited to those who live in the USA and Canada? Will free Pryme Vessyls be shipped to the other 73 countries? Who will cover the extra shipping costs? So what is a Pryme Vessyl? 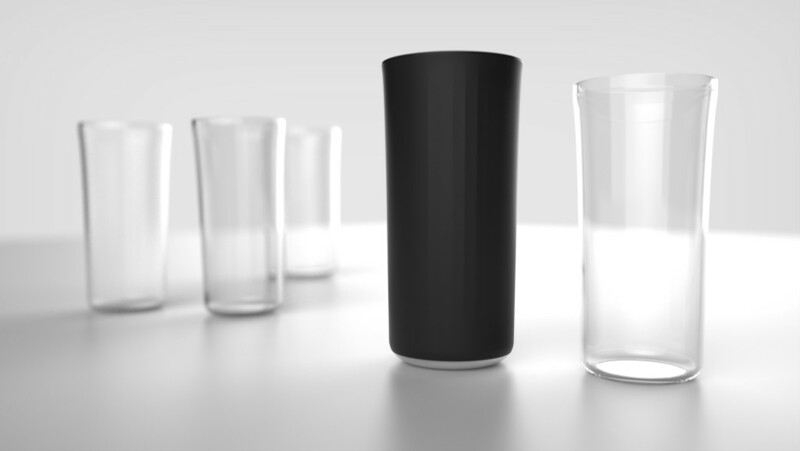 The Pryme Vessyl is a smart cup that appears to be able to detect the quantity of its liquid contents that are consumed. If you pour in 16 oz of liquid and drink it, the Pryme Vessyl is able to record that and report it to the app. It does not analyze the liquid at a molecular level, like the Vessyl. 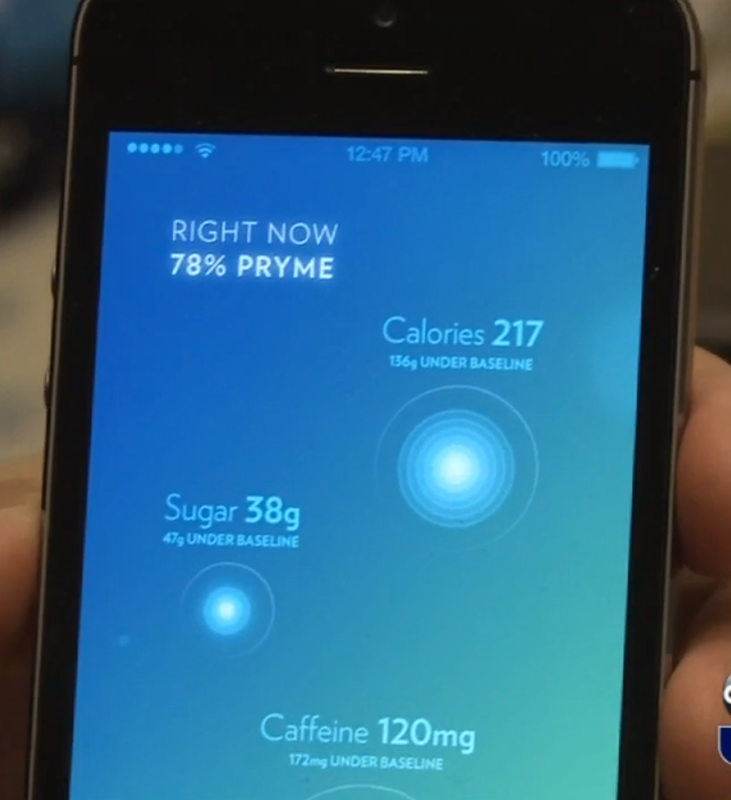 Most likely the Pryme Vessyl measures the weight of its contents to calculate volume and relies accelerometers to detect the gestures made while drinking, to not confuse washing the Pryme Vessyl with drinking from it. The video opens with a man reading Take the Lead as he prepares for a job interview. With Pryme Vessyl’s help, he overcomes mild dehydration and has his Moment of Greatness. 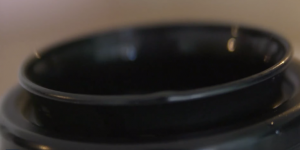 The Pryme Vessyl is not the only, or first cup that automatically tracks hydration. Thermos has a similar product called the Smart Lid, which goes for $59.99. The major difference appears to be that the Smart Lid requires its user to set hydration goals, while the Pryme Vessyl attempts to estimate those for you. The Smart lid is larger the the Pryme Vessyl (24 oz, vs 16 oz), and the Smart Lid also has a longer battery life (12 days vs 3-5 days for the Vessyl). I say this not to sell you on the Smart Lid, but to point out that the Pryme Vessyl’s price point seems a little high at $99. The pricing could possibly be more about public relations than market value. Mark One can now say that it gave backers something of a $99 value, which is coincidentally what many backers gave Mark One when they pre-ordered. If so, expect the Pryme Vessyl’s price to go down in future months when it moves away from PR and towards sales. 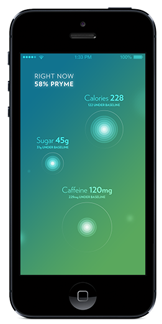 Where the rubber hits the road is how Pryme Vessyl calculates your hydration needs. We are told that the exact way Pryme Vessyl does this is proprietary, which is the same answer Mark One gave in respect to how the Vessyl senses its contents. We know that Mark One is having accuracy issues with the Vessyl, can the Pryme Vessyl can accurately calculate your hydration needs any better than you can? Myvessyl.com explains that Pryme is based on “years of research and collaborations with doctors and healthcare professionals“, but fails to cite any of those sources. In related news, Mark One’s VP of Health, Dr. Mark Berman appears to no longer be with the company. Berman’s LinkedIn page shows that he no longer works at Mark One, having left just a few weeks ago. While the Pryme Vessyl’s algorithm takes many factors into account, hydration is complex. Knowing whether someone has flown to Phoenix and needs to drink extra water should not be an issue for an app. But will it know whether you are working indoors or outdoors during the summer, medications you may be taking, whether or not you are nursing a child? That said, even if the Pryme algorithm is imprecise, it will likely go unnoticed. According to the research cited in this paper by the American Dietetic Association, most adults in America already consume a sufficient amount of water. It is possible that as long as the Pryme Vessyl encourages its users to drink a little more than they usually do, but not to the point of hyponatremia (water intoxication), the Pryme Vessyl will work, even if it is off a little. We sincerely apologize for the delay, as the hiccups with the interior material and sensor configuration are not things we foresaw and have been a hurdle in the production process. Our product lead, Hamid Mohammadinia, who formerly led manufacturing at Apple, will continue to assess our sensor challenges. We’ll send out an updated timeline once this assessment is complete. While this sounds promising, it is worth noting that Mohammadinia was hired by MarkOne prior to July 3rd, 2014, about 3 weeks after Vessyl’s launch. Vessyl’s blog reported that Mohammadinia was “continuing to experiment with a few options for the material on the interior of your Vessyl” in December, 2014. The issues were first reported by Mark One in February, 2015 and the assessment is apparently still ongoing. How long will the assessment take? In February Mark One hired “two material experts” in response to the problems due to the interior materials. 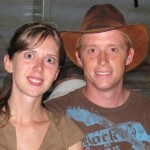 They were hired to “investigate and produce a solution.” One of them left the company September, 2015, after apparently not accomplishing his task; I was unable to find the status of the other engineer. In short, the update did not identify any major or minor changes, only their plans to “continue to assess” the “sensor challenges”. The fact that Mark One’s update did not detail any progress, but simply restated the same problem it was experiencing in February, leaves us to wonder if any significant progress has been made. Perhaps we will have to wait for the promised timeline to learn this. The 2014 images are from this Forbe’s video and this article. The images from 2015 are from this video. The two cups appear to be identical and may even be the same cup. 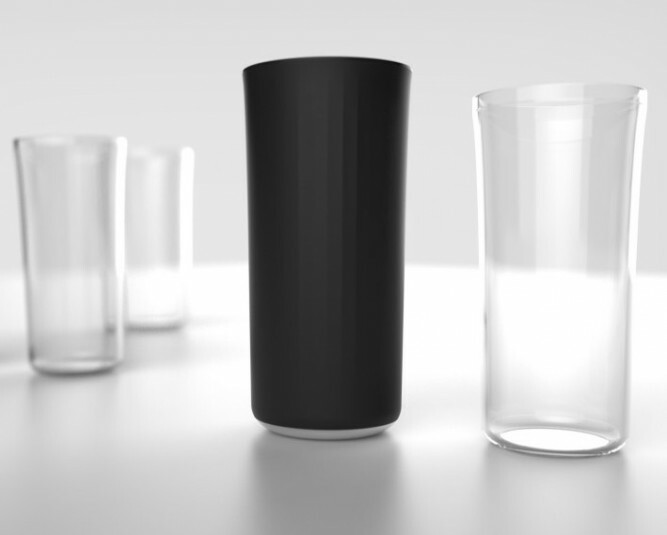 The cup on the left is from before Mark One raised millions of dollars, the cup on the right is after receiving millions in dollars and after nine months of development. Why is the Vessyl used in a 2015 interview not closer to resembling the final product? Does this have something to do with the inner material? What sort of problems could the inner material cause? As I blogged about in this post, the Vessyl uses spectroscopy to generate a spectral signature of the contents of the cup. The signature is likely then sent, via an app, to Vessyl’s server and is processed by their proprietary algorithm which then supplies the app with nutritional information. The Vessyl prototype analyzing Mountain Dew, note the blue glow caused by the spectrometer. Spectroscopy relies on shining a specialized light on a material, and then examining the spectrum of the light that is reflected. In the case of the Vessyl, the light is shown on the liquid inside of the cup, and the spectroscope captures the reflected light. The “inner material” must allow the light to pass through it and return to the spectrometer in a consistent manner that does not distort the light’s spectrum. 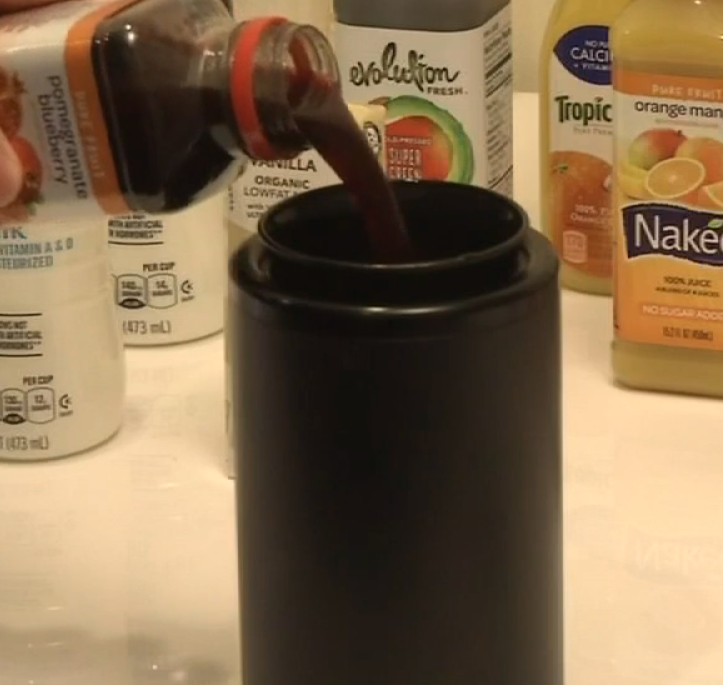 For the Vessyl to track all that you drink, it must be a cup for all beverages. 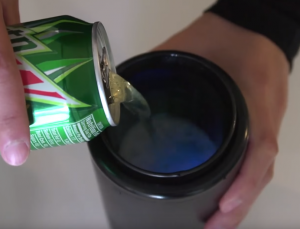 This means that the smart cup will be subjected to very hot and very cold liquids. Is the change in temperature causing the inner material to expand or contract, and distorting the way light passes through it? Also, the fact that many drinks need stirred may be causing a problem. If you stir with a metal spoon, the spoon will rub up against the inner wall of your cup. In Vessyl’s tests, is this causing scratches to the Vessyl’s inner material, leading to poor a reading by the Vessyl’s spectrometer(s)? The inner material must be consistent over time. Do certain drinks slowly stain or cause build up on the Vessyl’s inner material, distorting the spectrometer’s reading? One would expect a smart cup at Vessyl’s price point to be drop proof. Has Mark One found an inner material that works well, but is too fragile? The inner material must be safe from which to consume. Was the prototype created with an inner material that is not a possibility for production? 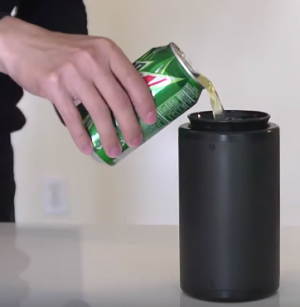 Is Mark One having difficulty finding a durable and consistent material that is BPA free and safe for storing consumables? Mark One has been very tight lipped about both the technology behind the Vessyl as well as the causes of its production delays. This means that we can only speculate as to the problems they are having. There may be a deeper, more fundamental issue at work here. From the beginning, Vessyl has appeared (at least outwardly) to be primarily design focused. If you look at the Vessyl’s page or the Pryme Vessyl’s page, there are two main links, one where you will find an overview of the results of using the cup and another link where you can see the story behind the design of the cup. The promotional videos also focus largely on the Vessyl’s look and feel. What we don’t see is any information about the technological advancements Mark One has made that make the Vessyl a possibility. Is this emphasis on design also reflected in Vessyl’s development process? Which came first: the production ready, work-of-art Vessyl cup; or the production ready Vessyl sensor? Why did it take seven years to design it? Lee says the company went through dozens to a hundred iterations, depending how you count them, changing the size, shape and aesthetics in pursuit of a product that would feel natural in both home and office environments. Of course, there was also the challenge of fitting the processor, battery and sensors into the thin wall of the cup.